This peach sauce was created for a friend who can't eat nightshades as we were planning on BBQing chicken. Plus we had some fresh peaches from the farmer's market and just had to use them. So last week Holley and I spent the week in Vancouver with some friends. It was a fantastic visit, and holy cow was the weather ever awesome! Good food, great company, and fun times. We broke up the drive by stopping at a provincial park in an area that I've been wanting to explore for a while now. It was absolutely incredible. I've told you in the past that I really crave getting away from man-made sound-pollution, and this spot was loud with nature! 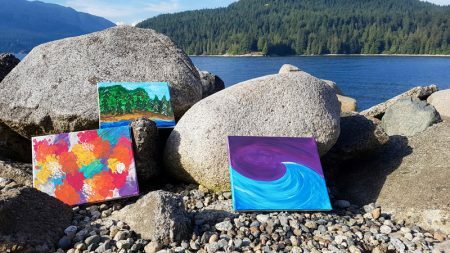 I've recently been seeking out more time in nature, and I find that I am really recharged by water. I don't mean Evian or Dasani – although I believe there was a Nestle bottling plant not too far away. Running water and ocean waves really bring something out in me. After spending only about 15 minutes by myself watching and listening to the water flowing, and feeling it's coldness on my feet, I was like a totally different person. It was a really refreshing visit, and I feel energized in a way that I haven't in months! 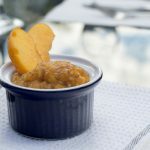 I hope you find this peach sauce fresh and energizing, especially knowing that it was born out of such a fun week! 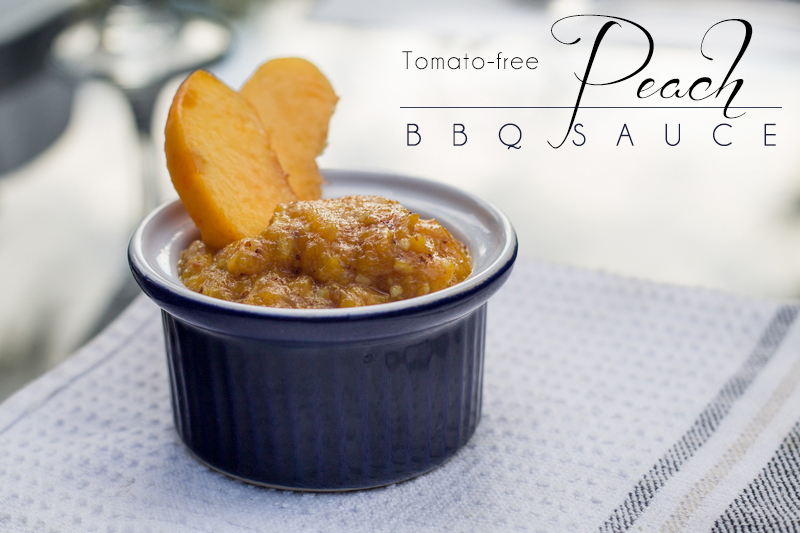 Here's a different sauce for BBQing: Tomato-free Peach BBQ Sauce, fresh & energizing, take advantage of seasonal fruits! 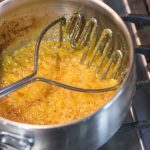 Combine peach, agave syrup, mustard, and garlic in a saucepan. 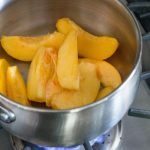 Use a potato masher to crush peaches and mix ingredients. Cook over medium-high heat, stirring regularly to keep from burning. Cook down until liquids are gone and mixture is the desired consistency. Gah! No way! This looks great! We will be picking peaches from the farm near us around August – can’t wait to try this! I can’t wait for peach season to come here, this looks so delicious! Love this tomato free peach sauce ! Perfect for summer and upcoming hot weather days ! Isn’t it simply amazing how a few minutes spent in nature, by running water particularly, can completely refresh you? I’ve been so happy that I can get on hikes here in Colorado again now that the snow is gone. And this sauce – yum!! We love all things peach so will have to try this! Yesss! I’m making a bigger effort to be in nature. Even while doing things like working on a cookbook! You made this just for me and you didn’t even know it! 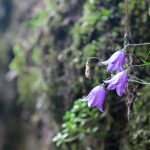 I needed an easy nightshade free bbq sauce! Thank you! Nightshade-free was the need at the time for a friend. But yes, I really made it for you! Oh wow this sounds awesome! And it’s great that you’ve made it nightshade free too! Great to see a tomato-free sauce as I’m not a. If tomato fan, thank you! 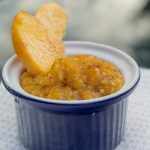 I made a peach BBQ sauce a couple of summers ago and loved it. Can’t wait to try your tomatoless version! !